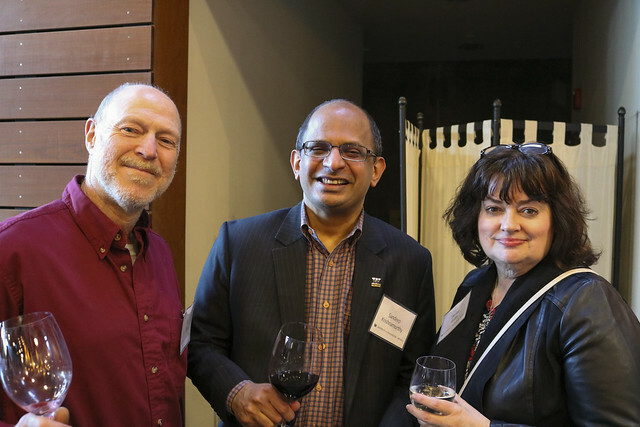 On April 10th, Chancellor Wolf Yeigh hosted an event at the beautiful Novelty Hill Januik Winery to thank all of our faculty, staff and retirees who make financial contributions to the University of Washington. Our student speakers and scholarship recipients, Mallory Erickson and Kiana Reeves, shared about the impact that support from faculty, staff and retirees has had on their education and experience at UW Bothell. The rest of the evening was filled with great food, wine, and company! Here are some great photos from the evening for you to enjoy. As faculty and staff, you understand better than anyone the importance of supporting UW students. Last year, the University committed matching funds to honor you —our incredible faculty, staff and retirees— for your commitment to students. Gifts to new and existing endowed scholarships were matched 2:1 until funds expired. The matching campaign has ended, and we are pleased to announce that UW Bothell faculty, staff and retirees raised $340,000 for student support! Thank you to everyone who participated —you have made a UW Bothell education accessible for generations to come. Learn more about how endowments benefit UW in perpetuity.